Fifty seven farmers and 15 agricultural extension officers from Victoria, Pila, and Nacarlan in Laguna, Philippines joined scientists from the International Rice Research Institute (IRRI) to discuss ecological engineering at the IRRI open day on 3 September. The farmers shared their ideas on rice farming techniques, pest management, and bund agriculture during sessions held at their respective municipal halls before travelling to IRRI for an introduction to the concepts and practices of ecological engineering. At IRRI’s experimental station, the farmers visited one of two experimental ecological engineering sites where they held open discussions with entomologists and ecologists concerning environmentally friendly pest management. The farmers were informed by scientists about crops suitable for growing on bunds, adaptations to the bunds for better crop production, and the best methods to avoid problems with insects, snails and rats. 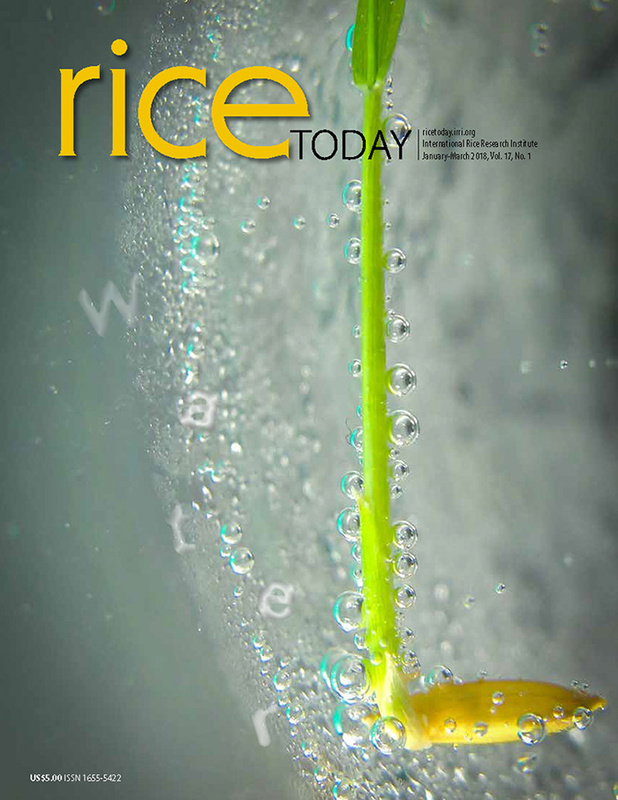 The scientists also explained the advantages and problems they have experienced while applying ecological engineering for improved rice crop management. The participants also attended a presentation and a poster and live-insect exhibits. At the end of the day, farmers evaluated what they had seen, expressing their wishes and concerns about ecological engineering as well as their willingness to become farmer-researchers by using the method on their own farms. The event was a good opportunity for both farmers and scientists to share their experiences and build better collaboration. Three similar events, all aimed at better understanding ecological engineering, are scheduled for 2014.